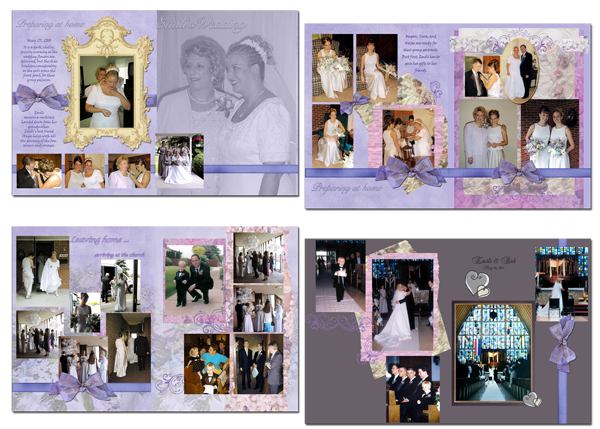 This wedding book originally started with the photo album. 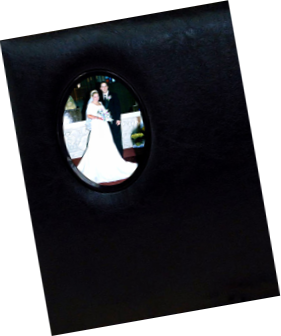 All the prints were scanned, as well as invitations, program, and embossed reception napkin. A major theme element is a picture of a bow from one of the wedding gifts.